Great article by Madison Park and Cheri Mossburg of CNN news covers how California will end the cash bail system in a sweeping reform for the state. Rather than requiring defendants to pay in order to be released before trial, their release will hinge on an assessment of their risk to public safety. On Tuesday, the California Money Bail Reform Act, also known as Senate Bill 10, passed in the State Senate with a vote of 26-12, and the General Assembly by 42-31. “SB 10 puts all Californians on equal footing before the law and makes public safety the only consideration in pretrial detention. This critical reform is long overdue,” said Toni Atkins, Senate president pro tempore. “Today, California reforms its bail system so that rich and poor alike are treated fairly,” Gov. Jerry Brown said in a statement. Brown signed the bill Tuesday, and the new law goes into effect October 1, 2019. California is the first state to eliminate money bail completely, according to the Pretrial Justice Institute, an organization that advocates for pretrial justice reform. According to reporter Madison Park, critics have long contended that the money bail system perpetuates inequality. While some people are able to quickly get out of jail by posting bail, people who aren’t able to afford it sit in jail until the court takes action, or until they work with a bail bond agent to secure their freedom, which can leave them in debt. “Abolishing money bail and replacing it with a risk-based system will enhance justice and safety. For too long, our system has allowed the wealthy to purchase their freedom regardless of their risk, while the poor who pose no danger languish in jail,” said Assemblymember Rob Bonta, one the lawmakers who introduced the bill, in a statement. Under the new law, a pretrial assessment would be done by either court employees or a local public agency that has been contracted to determine a defendant’s risk. That entity would assess the likelihood that the person will not appear in court or commit a new crime while released, and would make a recommendation for conditions of release. 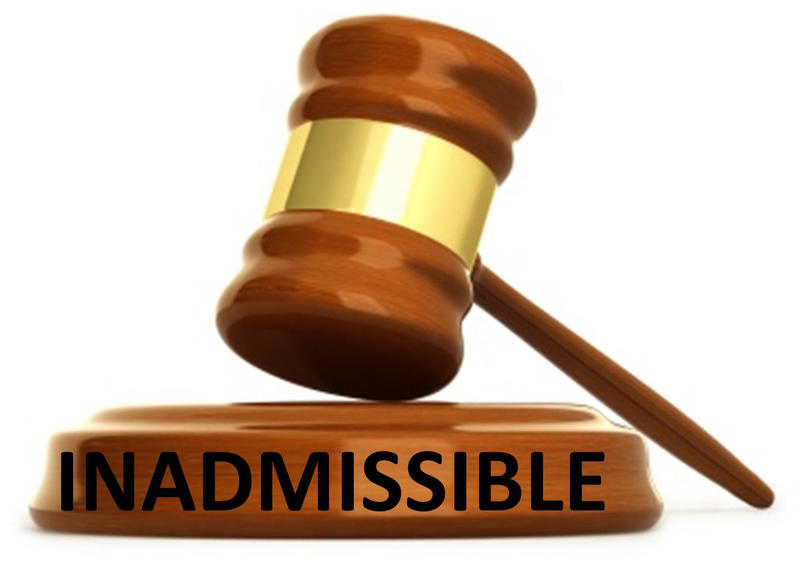 The defendant will be assessed as high, medium or low risk. A person who is deemed as high risk, including those arrested for violent felonies, will not be released. Indeed, the ACLU pulled its support for the bill earlier this month as the it underwent changes in the state legislature. My opinion? This is a bold, progressive step. The subject of cash bail has always been a cantankerous subject which underscores how justice applies to the privileged vs. the non-privileged. For the underprivileged, defendants who cannot afford to pay bail are more likely to plead guilty to criminal charges. Jail is a terrible place, and getting out as soon as possible is an overwhelming desire for most defendants who find themselves there. There’s no justice in pleading guilty to crimes that we would otherwise not plead guilty to simply to get out of jail. Let’s wait and see how California does. The success of California Money Bail Reform Act could determine whether other states adopt similar legislation. In State v. Padgett, the WA Court of Appeals held that a defendant’s motion to compel production of his client file and discovery materials is governed by CrR 4.7(h)(3) and RPC 1.6(d). Although disclosure shall be granted when a criminal defendant requests copies of his or her file, without any showing of need, disclosure is also subject to redactions. information in the discovery file. Ultimately, the trial court sided with the prosecutor and denied Mr. Padgett’s motion. He appealed. The Court of Appeals also reasoned that Washington State Bar Association (WSBA) has issued an ethics advisory opinion interpreting RPC 1.16(d) to mean that “unless there is an express agreement to the contrary, the file generated in the course of representation, with limited exceptions, must be turned over to the client at the client’s request” at the conclusion of representation. Despite its reasoning, the Court also gave limits and parameters. It said that while CrR 4.7(h)(3) and RPC 1.16(d) require disclosure, they do not entitle a defendant to unlimited access to an attorney’s file or discovery. Counsel may withhold materials if doing so would not prejudice the client. That said, examples of papers – the withholding of which would not prejudice the client – would be drafts of papers, duplicate copies, photocopies of research material, and lawyers’ personal notes containing subjective impressions such as comments about identifiable persons. In addition, materials may be redacted as approved by the prosecuting attorney or court order, in order to protect against dissemination of sensitive or confidential information. Finally, a protective order may also be entered, if appropriate. Against that background, and given the foregoing rules, the Court of Appeals held the trial court was obliged to grant Mr. Padgett’s motion for disclosure of his client file. It reasoned that if a defendant is denied access to his client file and related discovery materials, he will be deprived of a critical resource for completing a viable appeal. My opinion? Good decision. Personally and professionally speaking, it benefits everyone when all parties are clear and transparent as possible regarding access to a client’s case file. Clients have a right to know and attorneys have a duty to provide. In State v. Hendricks, the WA Court of Appeals held that a traffic stop for Failure to Transfer Title was not unlawfully pretextual because the stop was initiated based upon running license plates as vehicles passed him and the deputy did not recognize the vehicle’s occupants until after initiating the traffic stop. Hendricks. On September 8, 2016, the State charged Hendricks with violation of a no contact order, alleging that he knowingly had contact with Ciulla. Hendricks filed a CrR 3.6 motion to suppress evidence seized from the traffic stop leading to his arrest, asserting that there was no lawful basis for the traffic stop. was on duty on the evening of September 7, 2016 when he saw a Mazda pickup truck and ran the license plate of the vehicle. Upon his check of the truck’s license plate, Deputy Federline found that more than 15 days had passed since ownership of the vehicle had changed, but the title had not been transferred. When the truck passed, Deputy Federline also saw that the truck’s back license plate was partially obscured by a trailer hitch. Deputy Federline conducted a traffic stop of the truck. When Deputy Federline made contact with the vehicle’s occupants, he recognized Ciulla in the front passenger seat and Hendricks in the back seat. Deputy Federline arrested Hendricks. Following this testimony, Hendricks argued that Deputy Federline lacked authority to stop the truck based either on a failure to timely transfer title or on an obscured license plate. The trial court denied Hendricks’s motion to suppress. Following the trial court’s denial of his CrR 3.6 suppression motion, Hendricks waived his right to a jury trial, and the matter proceeded to bench trial on a stipulated record. The trial court found Hendricks guilty of violation of no contact order. The trial court also found that Hendricks committed his offense against a family or household member. Hendricks appealed from his conviction. The Court of Appeals reasoned that the Fourth Amendment to the United States Constitution and article I, section 7 of the Washington Constitution generally prohibit searches and seizures absent a warrant or a recognized exception to the warrant requirement. One such exception to the warrant requirement is an investigative stop as set forth in Terry v. Ohio, a landmark search and seizure case which applies to traffic violations. Also, a law enforcement officer may conduct a warrantless traffic stop if the officer has a reasonable and articulable suspicion that a traffic violation has occurred or is occurring. The court rejected Hendricks’s arguments that the failure to comply with RCW 46.12.650(5)(a)’s requirement of transferring title within 15 days of delivery of a vehicle does not constitute a traffic infraction under RCW 46.63.020 because the failure to timely transfer title is not a parking, standing, stopping, or pedestrian offense. Next, the Court of Appeals addressed whether the stop was unlawfully pretextual. The Court reasoned that Article I, section 7 of the Washington Constitution prohibits pretextual traffic stops. State v. Ladson, 138 Wn.2d at 358. A pretextual traffic stop occurs when a law enforcement officer stops a vehicle in order to conduct a speculative criminal investigation unrelated to enforcement of the traffic code. Ladson, 138 Wn.2d at 349. Whether a given stop is pretextual depends on the totality of the circumstances, “including both the subjective intent of the officer as well as the objective reasonableness of the officer’s behavior.” Ladson, 138 Wn.2d at 359. A traffic stop is not pretextual even where the officer has an additional motivation for conducting the stop apart from a suspected traffic violation, so long as the officer’s purported motive in investigating a suspected traffic violation was an actual, conscious, and independent reason for the stop. State v.
Arreola, 176 Wn.2d 284, 299-300, 290 P.3d 983 (2012). The Court reasoned that Deputy Federline was the only witness at the CrR 3.6 hearing. Furthermore, the deputy testified that he was parked at an intersection running the license plates of southbound traveling vehicles when he saw the vehicle at issue. Deputy Federline began to initiate his traffic stop after finding that the title to the vehicle at issue was not timely transferred following a change in ownership. Finally, Deputy Federline recognized Hendricks and Ciulla only after initiating the traffic stop and contacting the driver of the vehicle. Consequently, the Court held that because the record lacked of any evidence supporting a claim that Deputy Federline conducted a pretextual traffic stop, Hendricks can show neither deficient performance nor resulting prejudice from defense counsel’s decision to decline raising the issue at the CrR 3.6 hearing. Accordingly, the Court of Appeals affirmed Hendrick’s conviction. Contact my office if you, a friend or family member was contacted by police under circumstances which appear unlawfully pretextual. Despite the above case, Washington case law protects the rights of those who appear to be searched and seized under fabricated pretenses.